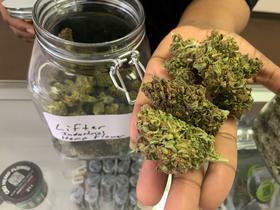 A non-euphoric strain of cannabis is being sold in stores across Florida. It’s available as oils, edibles, and even flower. But as questions about the legality of it linger, CBD remains in limbo. Stores across the state are selling CBD products. Among them is Natural Life in Tallahassee. Alex Petrick is the store's distribution manager. "Is this about the director of cannabis?" he asks when WFSU arrives at the store to speak to him. Earlier, State Agricuture Commissioner Nikki Fried announced Holly Bell as the new Director of Cannabis. During the same announcement, she also discussed the legality of CBD products. "It’s not legal here right now," Fried said. "And that's exactly what I’m hoping the legislation is going to allow. 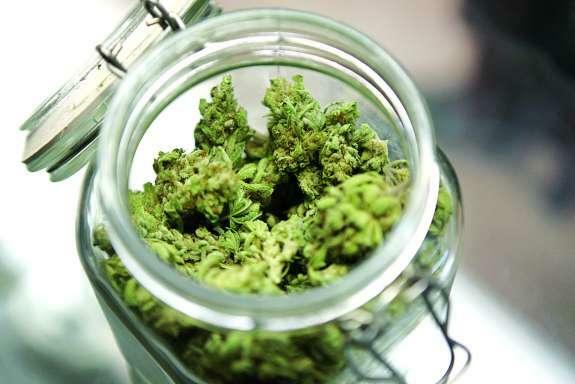 We’re working with some of the lawmakers so they can change the definition so that we can, in fact, do a CBD program here in our state to make it very clear." Its a problem Petrick and Natural Life are very familiar with. The Tallahassee Police Department has raided Natural Life several times since April 2018, and seized their raw CBD flowers. Petrick says those raids have cost the store more than $25,000. But he argues his company is following federal law and that the raids shouldn't have happened because CBD products don't cause a high. "It literally comes down to one Cannabinoid Delta 9 THC is the euphoric-causing compound that can cause a sense of a high or a euphoria or paranoia in some senses," Petrick said. "Industrial hemp legally has to be below .3 delta 9 THC. That is the difference." Still, the state’s Interim Director of Medical Marijuana, Christine Coppola, says there’s no way to be certain what’s being sold in stores. "If it’s not from a medical marijuana treatment store, I don’t know anything about where it was from has it been tested. Petrich says Natural Life works hard to make sure consumers know what they’re buying. "We go out of our way to pay for additional lab testing. Not only do we get lab testing done from the state where it was grown, so in this case Oregon. Those labs are certified by the Department of Agriculture in Oregon. Then it arrives in Florida," he said. "We take that flower again and ship it off to another lab flower to another lab located in florida, so now that you have a lab report from where it was grown, to now from the state where it's being sold. Overwhelmingly verifying this flower is industrial hemp and not it’s illicit cousin." 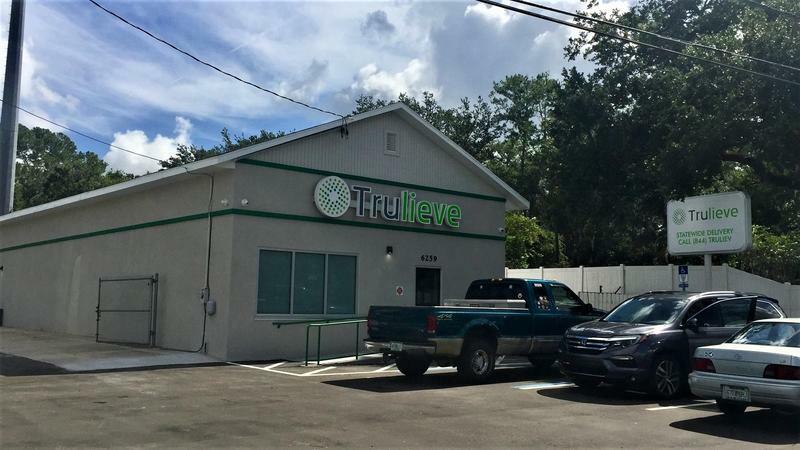 Unlike Natural Life who has been raided by TPD, Hempora, another Tallahassee-based store selling CBD products, hasn’t run into the same problems. "We’re a health and wellness store," says Owner Stephen Gauss. "We provide CBD, CBD oils, CBD lotions, also provide CBD flower. It’s a cigarette alternative and alternative to marijuana." Gauss says he’s heard about the raids but doesn’t understand them. His business was visited by the United States Drug Enforcement Agency and hasn’t had any trouble. "One of their agents came in and looked our store over. And I spoke with him on the phone for a good 10 or 15 minutes. And he told me he would keep me abreast of any issues come up." Fried was recently asked what stores like Hempora that are selling the leaf should do, since she says its currently illegal. "We are not going to come in and say you cannot sell CBD in the state of Florida. However, what we are going to say is 'here is the regulated framework that we are going to go under'. And so, give everybody a period of time to start showing on your testing standards all of your labeling requirements and then afterwards then we at least know that there is validation behind what is being sold," she said. Currently there is no date on when the framework will be put in place. But Fried said it should happen soon and stores that don’t follow the rules will be shutdown. In the meantime, stores like Natural Life & Hemporum could still run into problems with law enforcement. That’s because CBD flowers are identical to marijuana flowers. After all, Petrick says, it’s the same plant. He thinks the busts are because law enforcement simply doesn’t want the hemp flower on the streets. Petrick says he gets it, but adds that’s not his problem, it's law enforcement's.